Saturn is the sixth planet away from the sun, but its largest satellite or moon, Titan, has proved an object of interest to space researchers in recent times – and this is largely because of the mystery of sand dunes found on its surface, as well as indications that it might have abundance of nitrogen in its dense atmosphere. 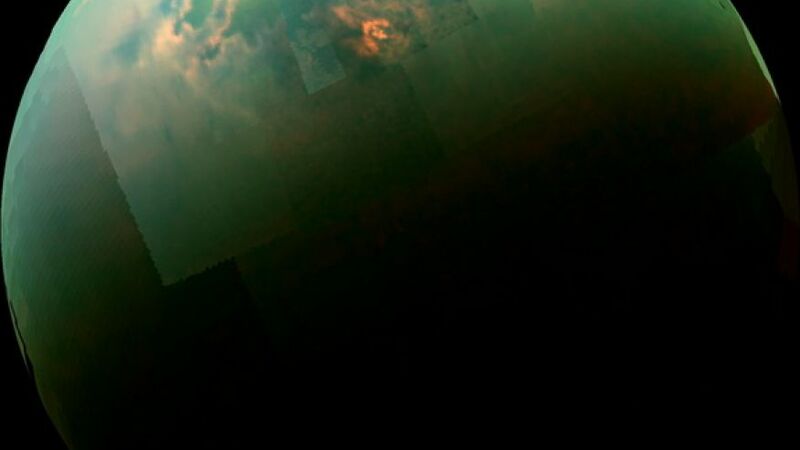 Titan is already established as having a dense atmosphere with hydrocarbon lakes that are filled with liquid methane and ethane, but its mystery lies in the many sand dunes that rise hundreds of feet high into the sky as well as hundreds of miles wide in length. The sand dunes are more of interest to scientists because they are aware there is literarily very little to no air movement in Titan – yet, its sand dunes are wind-blown and wind-gathered. In trying to analyze the composition of the sand dunes in Titan, scientists have been able to understand that it is made up primarily of hydrocarbons or some water ice with layers of organic content, contrary to Earth’s or Mars’ sand dunes that contain large amounts of silicates. Ryan Ewing, a professor of geology from the Texas A&M University led a team of astronomers to establish that the sand dunes on Titan move and shift places as those on Earth. They also found that wind conditions on Saturn’s largest moon are no different from the changing seasons people experience on planet Earth, and this must have influenced the height and length of the sand dunes as they are gathered by slow-moving wind over many long years. For instance, a 300 feet high sand dune in Titan took about 3,000 Saturn years to accumulate, which is about 90,000 years on Earth. This is not about Saturn…. it’s about Titan. So the title is misleading. “Space researchers can now explain the mystery of sand dunes in Saturn”. Please, the next time you have someone write a headline you find someone with a modicum of technological understanding. Saturn is a gas giant. Finding sand dunes on a gas giant would indeed be an incredible event. The sand dunes are on Saturn’s moon – Titan, as the rest of the story makes clear.